The Portage la Prairie Chamber of Commerce Business Awards Nov. 16 celebrated outstanding local business achievement and recognized six local businesses and the impact they make on our community at the 2018 Business Awards Celebration at the William Glesby Centre. The award for Outstanding Not for Profit went to the Portage Animal Welfare Society or PAWS. The Outstanding Contribution to the Community by a Business award went to KF Aerospace. Kenny’s K9 won the Outstanding New Entrepreneur award. 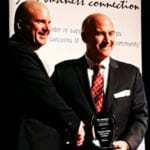 Outstanding Business of the Year award was presented to Cobalt Industries. 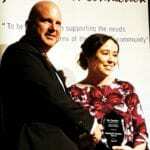 The Portage Friendship Centre was named as the IANE (Inter-Provincial Association of Native Employment) Best Business Award winner and Emilie McKinney was presented the IANE Spirit of Growth Award. 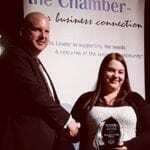 The awards are given out annually by the Portage la Prairie and District Chamber of Commerce to celebrate outstanding local businesses and organizations.